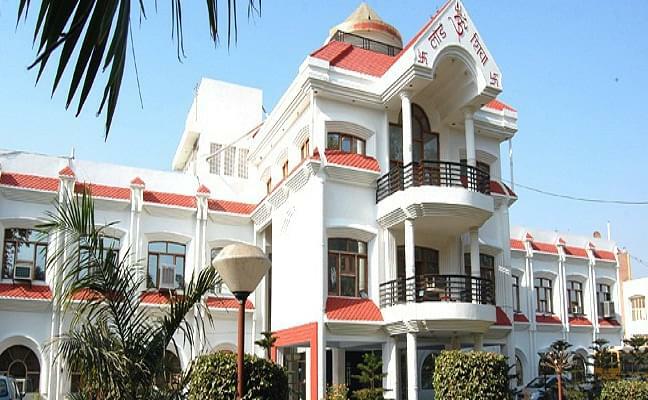 Lord Shiva College of Pharmacy was established in 1983. 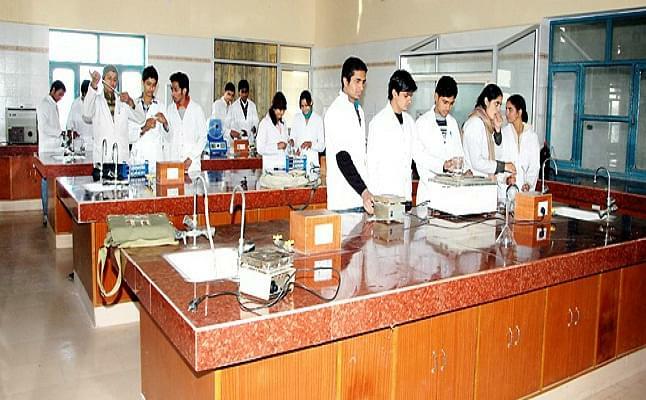 Sirsa is a pioneering and leading institute in Northern India and offers D.Pharm, B.Pharm, M.Pharm, and PhD programmes. 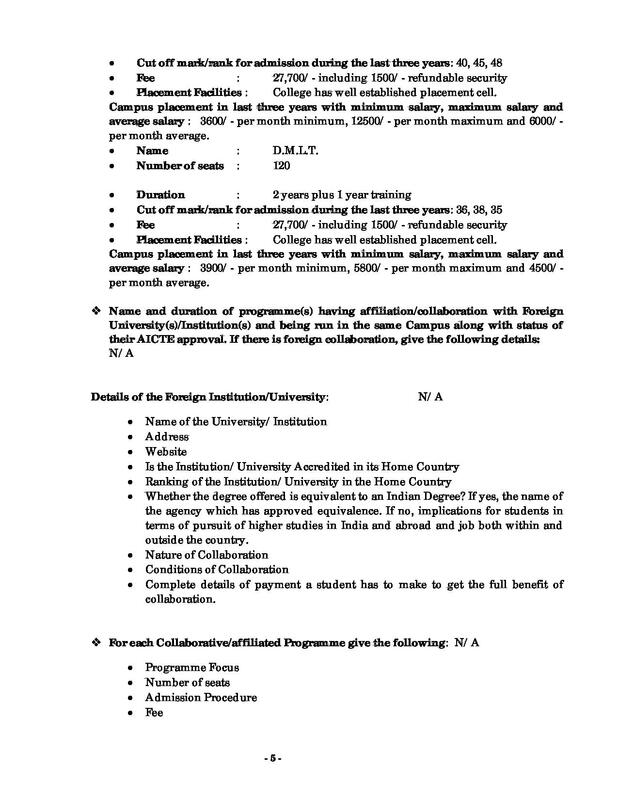 The college is established under the aegis of Lord Shiva Charitable trust, Sirsa. It is situated in heart of Sirsa City. The campus I a beautifully landscaped with extensive greenery and medicinal plants and trees. 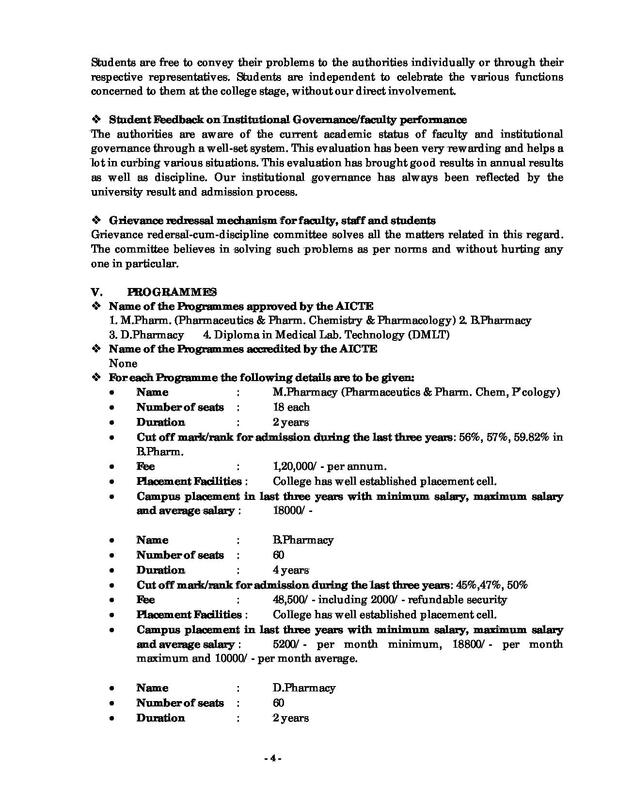 Why to choose Lord Shiva College of Pharmacy? 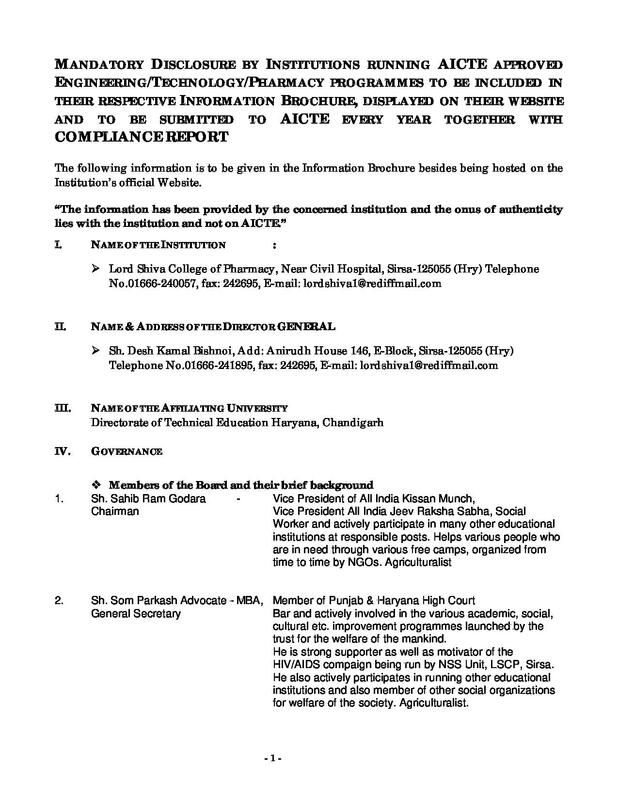 Modern Teaching Methodology: - A galaxy of reputed academicians and professionals visit the campus to deliver lectures, share experiences and latest developments in pharmaceurical field. A number of seminars, workshops, and symposia are organized from time to time. 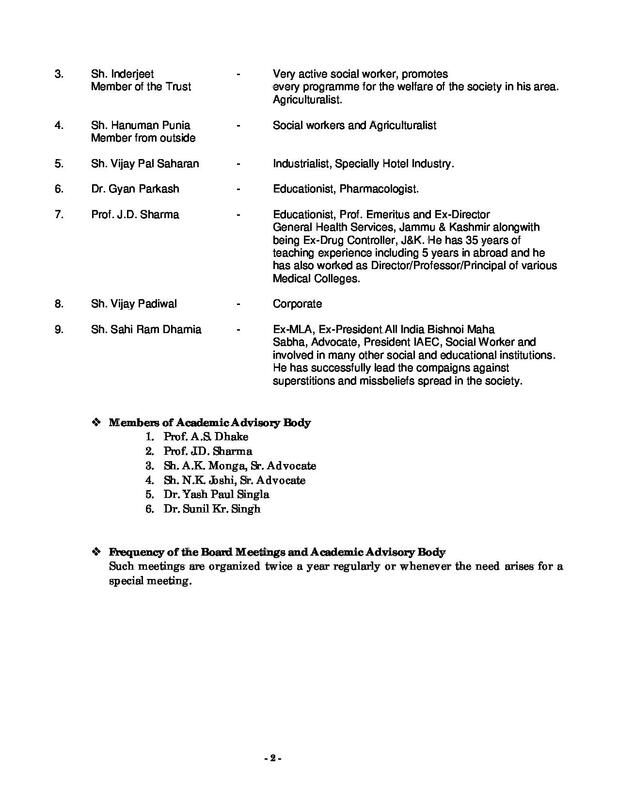 Scientific papers are published in famous journals which are presented at national and international conferences. Dedicated Faculty: - The College has PCI approval for all its current batches, the institute giving credit to its dedicated faculty, hardworking students. 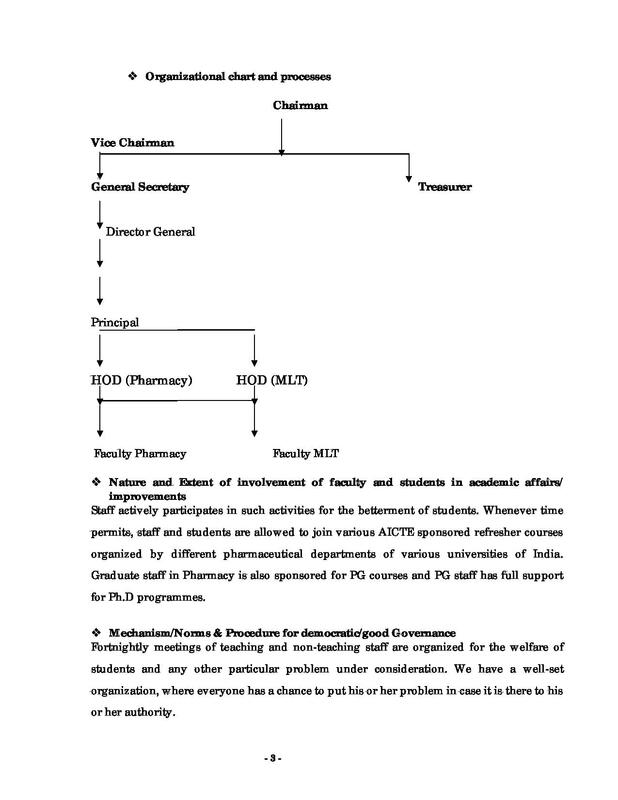 Faculty is committed to develop practical skills and knowledge to each budding pharmacist.